Rapid loss of environmental quality today is perhaps the most serious threat humanity has ever faced in the history of mankind. Environmental degradation is a global problem and is directly related to natural resources depletion. Because of population explosion , industrialization and fast changing life style of modern society a new fresh initiative is the need of the time. Lack of environmental awareness and concern in the society is basically responsible for the degradation of environment. Despite the technological advancement and material development , the modern society is facing serious environmental problems due to negative impacts of human activities. It is therefore very much necessary to approach the issues arising out of the situation with proactive rather than reactive attitudes. The trends of environmental changes suggest that unless serious , committed and consistent actions are taken by everyone today to protect and improve the environment around us, future generations will have to face difficult scenarios of resource crunch, pollution, population explosion and resultant socio-economic and political stress. It is therefore recommended by the environment and education experts and thinkers that the younger generation , need to be made aware of sensitive nature of man and environment relationship. The Ministry of Environment and Forest ( MOEF ) of Government of India had issued MSW( Management and handling ) rules in the year 2000 for scientific Muncipal Solid Waste Management , which ensures proper collection , segregation , transportation , processing and disposal of MSW and upgradation of the existing facilities to arrest contamination of soil and groundwater. As per the provisions , CPCB has been assigned to monitor the implementation of these rules , and the municipalites will be required to submit annual reports regarding status of MSW in their areas to the CPCB. Energy is one of the basic requirements of all living beings.The unsustainability of conventional energy resources and their associated environmental pollution problems made renewable energy the prime need of present time. It plays decisive role in the sustainable socio-economic development and improved quality of life. Efforts are been taken to implement Waste- to- energy programs at all levels, lot of research in this field is expected to be undertaken by young generation. Environmental science is a multi-disciplinary field that integrates physical, chemical, biological and information sciences including ecology, botany, biotechnology, hydrology, physics, chemistry, zoology, mineralogy, oceanology, oceanography, limnology, soil science, geology, atmospheric science, geography, meteorology, statistics, environmental law and earth sciences. Environmental science provides a quantitative, integrated, and interdisciplinary approach to the study of environmental components and ecosystems. 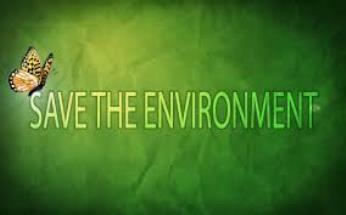 Environmental technology focuses on design and technology for improving environmental quality in every aspect. Environmental scientists work on subjects like the understanding of earth processes, evaluating alternative energy systems, pollution control and mitigation, natural resource management, and the effects of global climate change. Assessment of solid waste generation. Assessment of plankton in aquatic ecosystem. Assessment of benthic organisms in aquatic ecosystem. Research scientists in research institutions. Lab in-charge in testing laboratories. Scientific officer in scientific governmental organizations or NGOs. Environmental officer in consultancies or industries or similar firm. ETP/STP in-charge in industries as well as municipality or municipal corporations. Environment and safety officer on various project sites. Ecologist for sensitive areas or special regions. Pollution controller in production industries. EIA coordinator in EIA consultancy or similar firms. Consultant in EIA consultancy or similar firms. Environmental Journalist for various magazines, newsletters.